Octal tubes have a guide pin that aligns the tube to the socket. This is so that the right pin goes in the right socket receptacle. On a rare occasion, guide pins can crack and break. In this article, we look at how this happens, and what to do if this does happen to you. 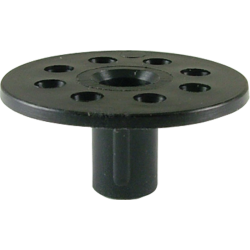 Guide pin is an extrusion at the bottom of the octal base which is made out of plastic. The guide pin is keyed and goes into the center hole of the socket that's keyed the same shape. Aside from making sure things line up, guide pin doesn't bear any load. So why does it break? 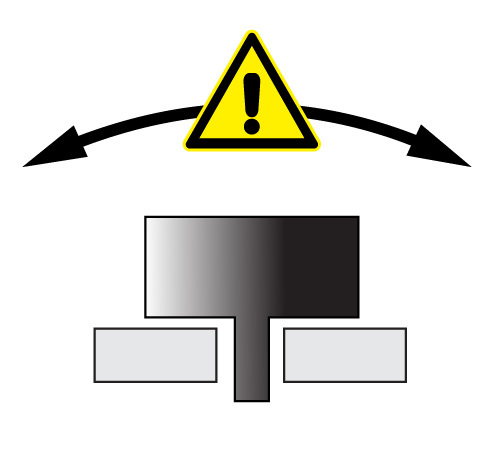 The #1 reason for breaking the guide pin is because of how a tube is removed from the socket. Octal tube sockets tend to grab the pins tightly, especially when new. This makes it very difficult to remove the tube from the socket. First instinct of many is to grab the tube at the top and rock it back and forth. Don't do this. This does get the tube out of the socket, but you can snap the pin as you rock the tube back and forth. Many octal socket has relief opening so that guide pin can rock back and forth in the hole somewhat. On some sockets, however, the guide pin hole is just too tight for guide pin to move at all, causing it to snap easily. Sometimes, the pin just breaks despite your best effort when removing a tube from the socket. When this happens, what can you do? Well, if you can figure out how to line up the tube correctly with the socket, you just plug in and go. This is the simplest solution, but you need to make sure pins line up correctly. If it's a clean break (which it often is), you can glue the guide pin back on. Super glue works well, and you will be able to line up the tube with the socket this way. Glued-on guide pin often comes off again, so this isn't a very permanent solution. Slip-on guide pin is a more permanent solution. You remove the old broken guide pin in it's entirety, then slip this on. Make sure sure the slip-on is lined up correctly, but otherwise you are good to go. If you break the replacement, you can remove and replace with another one again. Fortunately, the guide pin has no effect on the tube performance whatsoever. All that's needed is to simply plug the tube back into the socket correctly. Whether you glue the pin back on or use slip-on guide key, once you get the tube back in the socket correctly, you can get back to enjoying your tube gear.